The moussakas (and dolmades too, come to think of it) weren’t always what he had hoped for, but when he came across one that hit the spot, his delight was boundless. And, of course, that particular cafe was the one we went back to thereafter, because as he kept saying “I know it’s good here, so why go anywhere else where it might not be as good?” He never did answer my question which was “What if it’s BETTER?”. Or rather, he said “What if it’s NOT?” Well, fair enough, because the dolmades at that cafe were pretty good, so I didn’t mind not going anywhere else. 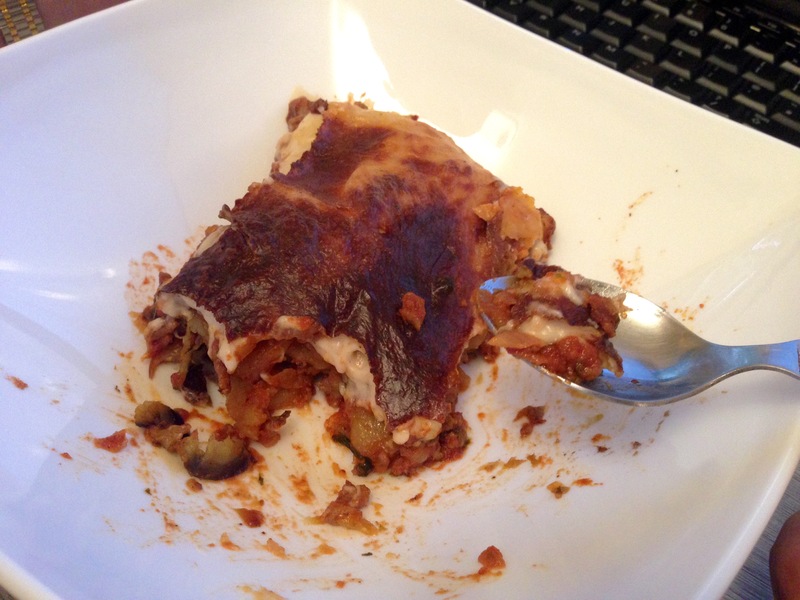 Anyway, moussaka’s been on my “must try one day” list – just to make, not to eat, because I am a rabid anti-auberginarian and I don’t care who knows it! It’s a good thing that discrimination against aubergines is not a crime because I’d be jailed before you could say “aubergine”. or “eggplant”. Or “brinjal”. Or “kathirikkai”. Or “baingan”. Or in any of the other languages in which aubergines exist. 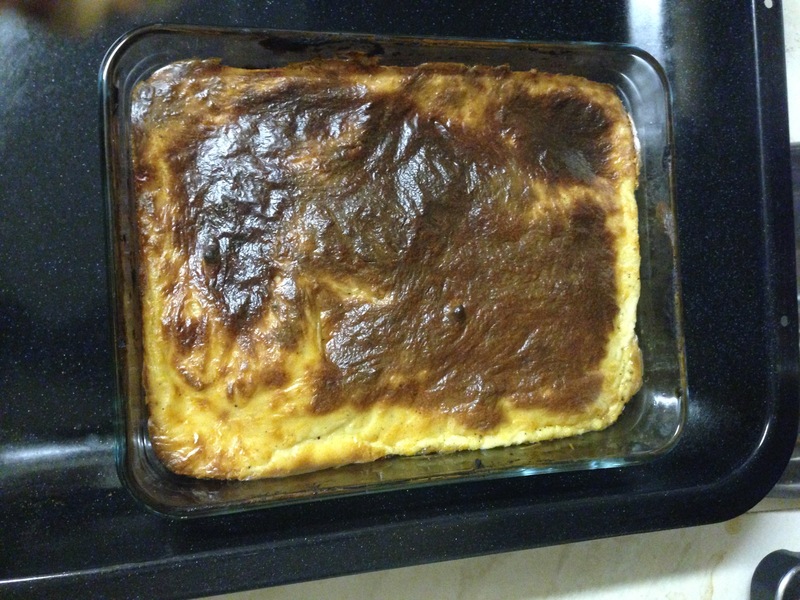 So, as I was saying, this weekend I decided would be my time to make moussaka. I thought it would be a painfully protracted process (ha, try saying that three times when you’re drunk! ), but it wasn’t as bad as I’d expected – mainly, I suppose, because I scaled down the original recipe to make two generous (or three medium) portions. That meant that the aubergines and potatoes didn’t take too long to fry. However, I guess if you have a book in hand for this part of the cooking process, you won’t really notice the time it takes. This entry was posted in Beef and tagged all purpose flour, aubergine, black pepper, brinjal, butter, eggplant, flat leaf parsley, minced beef, nutmeg, olive oil, oregano, passata, red cooking wine, red potatoes, sunflower oil, whole milk on January 25, 2015 by shyameds.